The last couple of weeks have been a non-stop rush, so blogging has definitely been a tough thing to get to lately! But the lessons never stop! Learning is a dance that is in constant motion! While I was sitting in an Autodesk Inventor update course earlier this week, the instructor shared some fantastic sheet metal links and encouraged us to pass them on, so that's exactly what I intend to do! And why am I sharing these resources? I mean aside from the fact that the instructor told us to? The one thing about using sheet metal in Autodesk Inventor, is it's a tool. And like so many tools, it takes the knowledge of the user to really make it reach it's full potential. One thing has not changed. Experience counts. Pure and simple. The resources I'm sharing are intended to help obtain that experience. They let us, as users, assimilate the knowledge we need to make us more knowledgeable, which in turn allows us to use the tools to amplify that knowledge. So at last, here are the resources past onto us by the instructor. 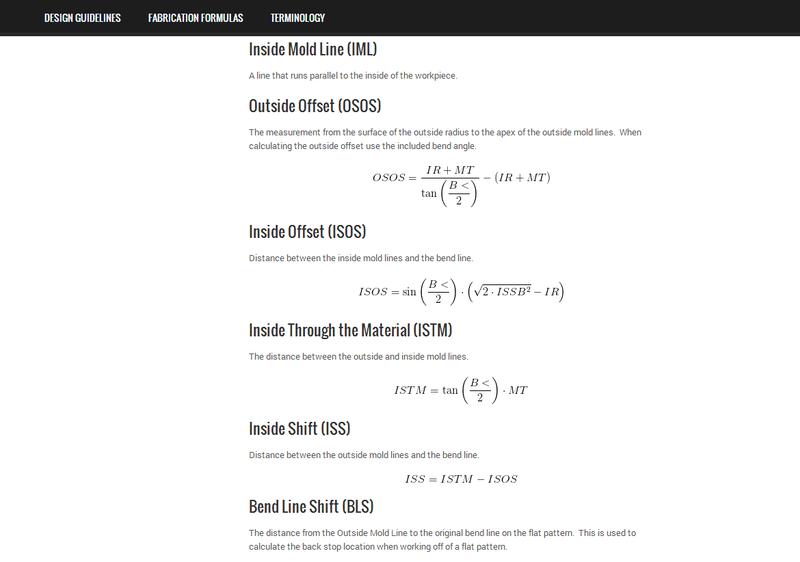 Bend Calculator from the SheetMetalGuy.com, Do you need help generating K-Factors and bend tables, here's a place to start. Here's a direct link here! The next, is from www.bendallowance.com. 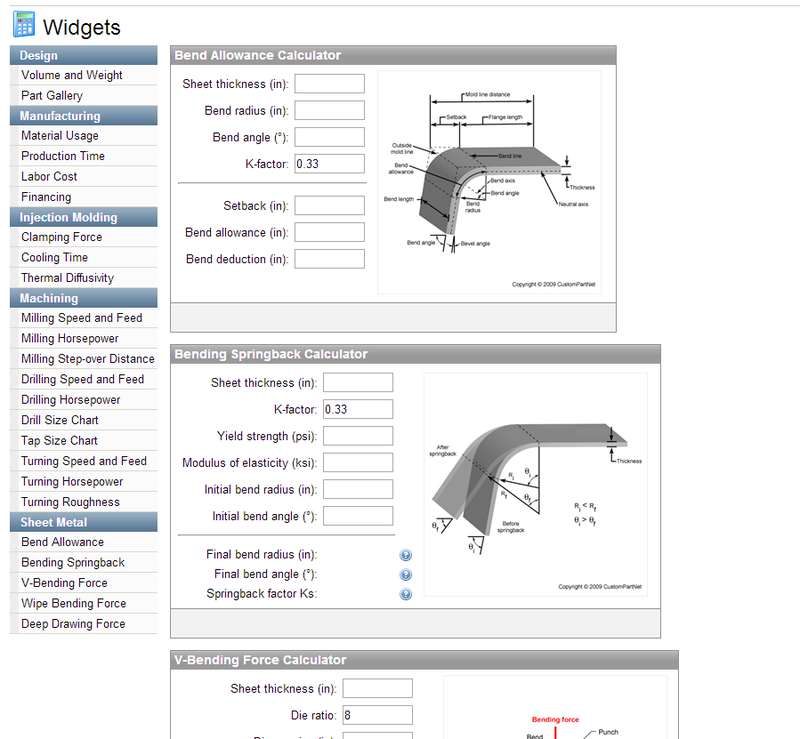 Follow the direct link here to a list of formulas used to calculate sheet metal setbacks! Third on the list is from Sheetmetal.me and is a resource for designers, operators, and "anyone else interested in sheet metal manufacturing". 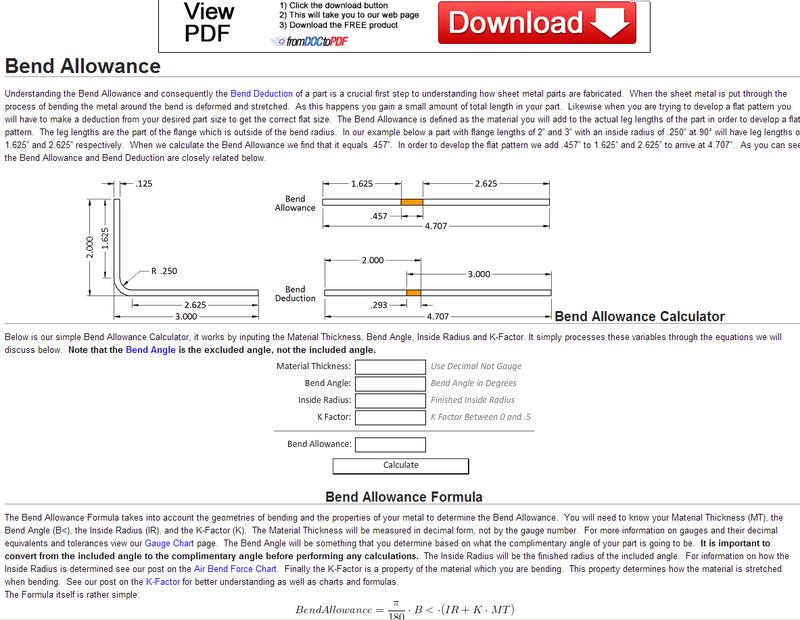 It has great resources for calculating bend allowance on this page. 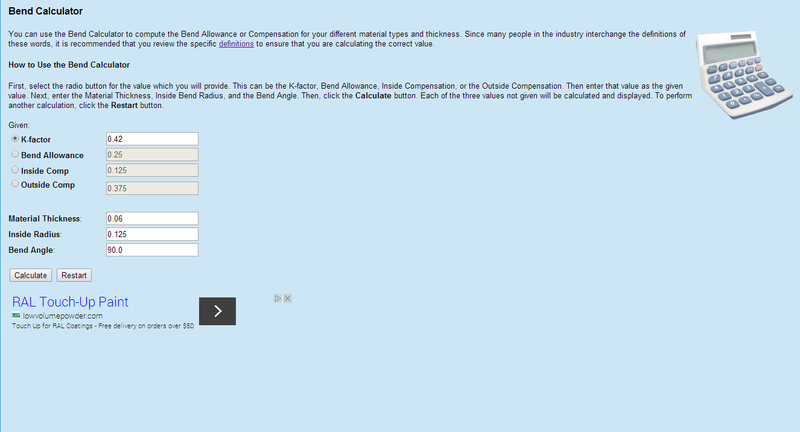 The last of the four big websites, have a look at this link at Custompart.net to calculate things such as bend allowance, setback, and stamping forces. Finally, another place to try is the Google Apps store. There are tons of Sheet Metal Apps that are available. I haven't tried any, but they com recommended, and if you us sheet metal, and have an Android, it's worth a look. For you Apple users, I have been told there are apps, but not as many. But not as many. I can't speak to this myself, but if you have an Apple App you like, feel free to throw a comment down below! 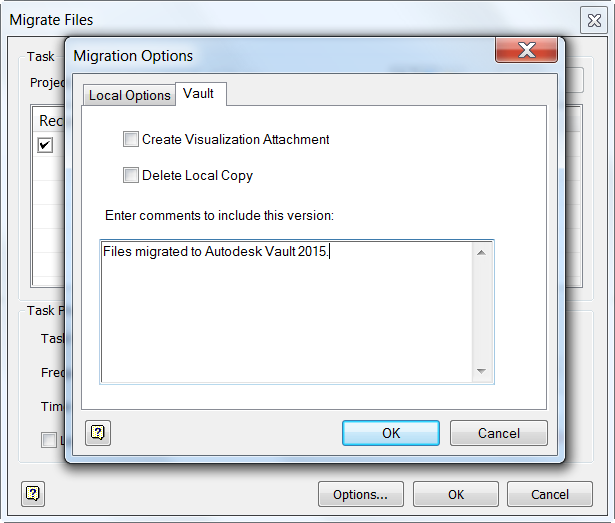 In previous posts, I showed how to install your Autodesk Design Suite, as well as migrate a Vault from 2014 to 2015. However, there are still things that need to be done. 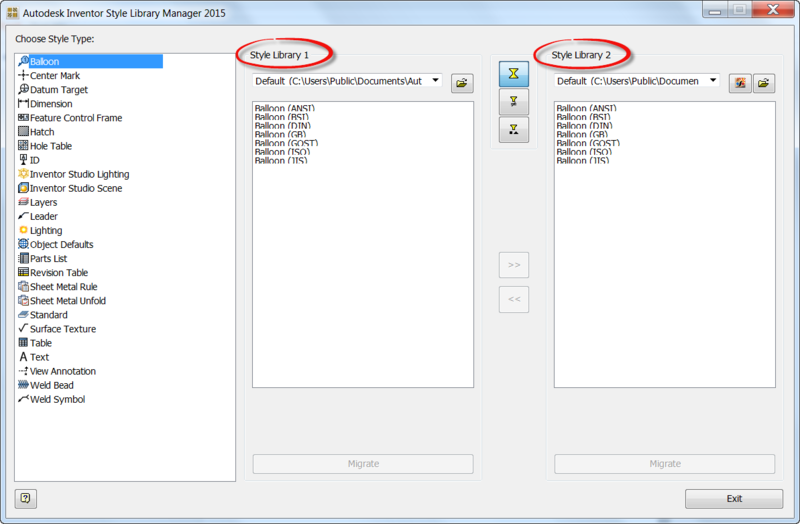 For example, what about custom templates that have been carefully crafted in previous releases? 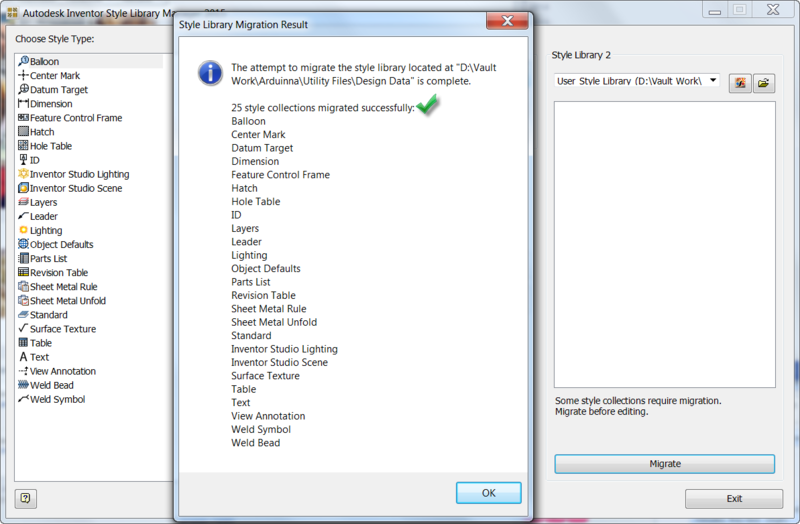 They aren't usable in Inventor 2015 until they've been migrated. It goes without saying that this step is important. 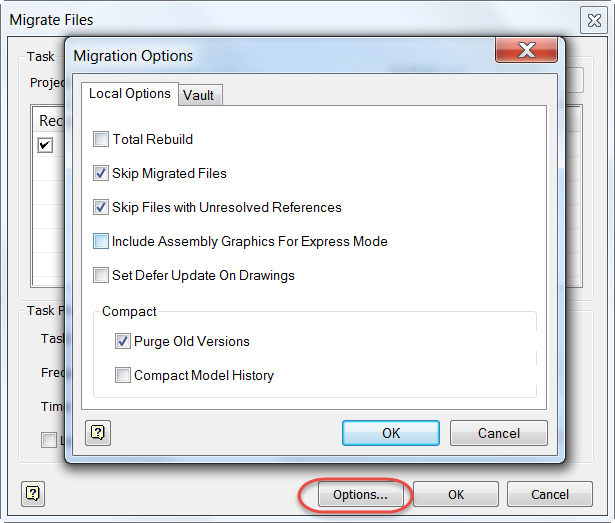 So what are the steps to migrate template files? 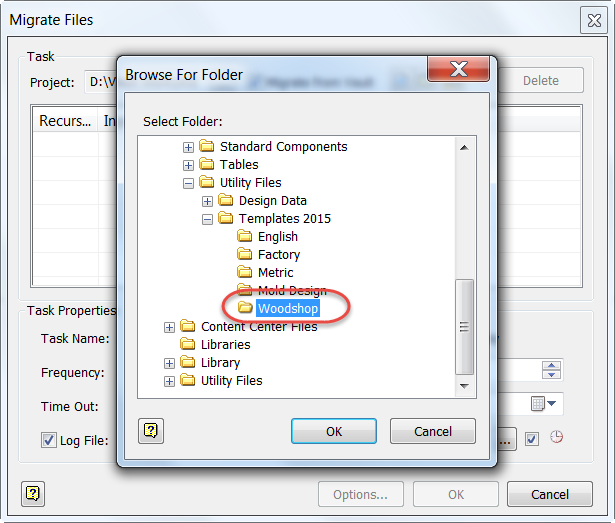 The simplest, is to just open each template file in Inventor 2015 and save it. It will work just fine, and it's a completely valid way of doing things. However, I'm going to describe something that's more automatic then just opening and saving. 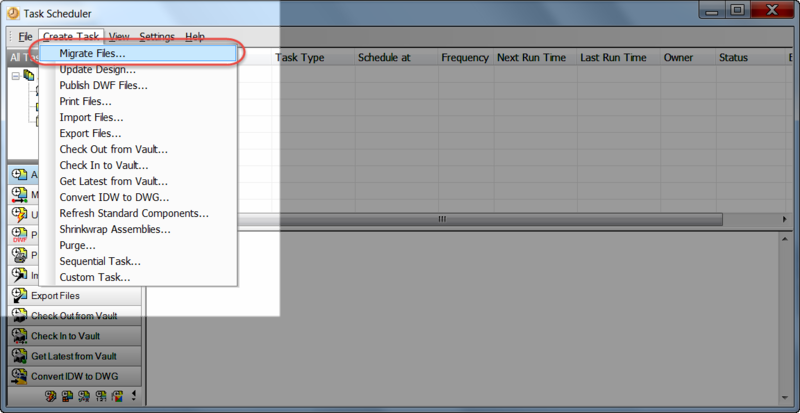 And while it's possible to perform these tasks manually, I'm going to use a tool called Task Scheduler. Why? I like letting the computer do the work where possible, and this is my chance! 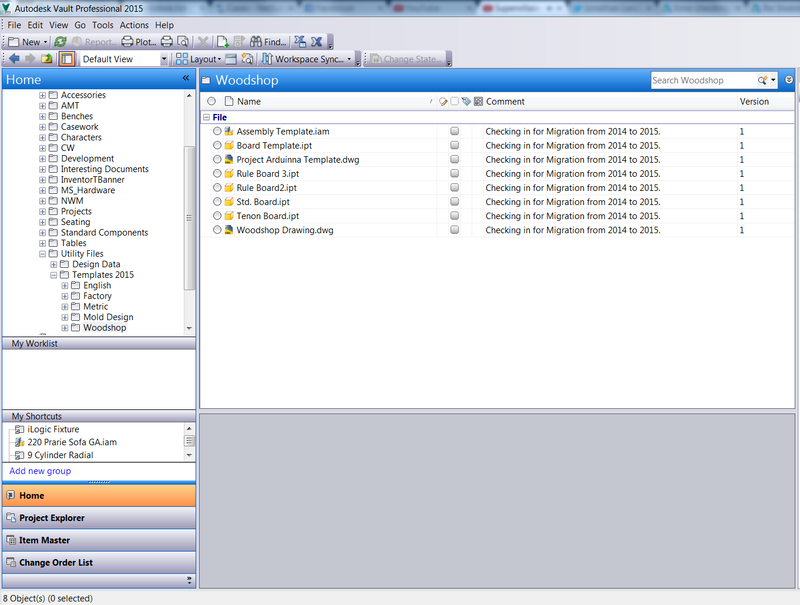 The steps required for Task Scheduler are in reality, straightforward. It's more a matter of knowing where to find the right tools. 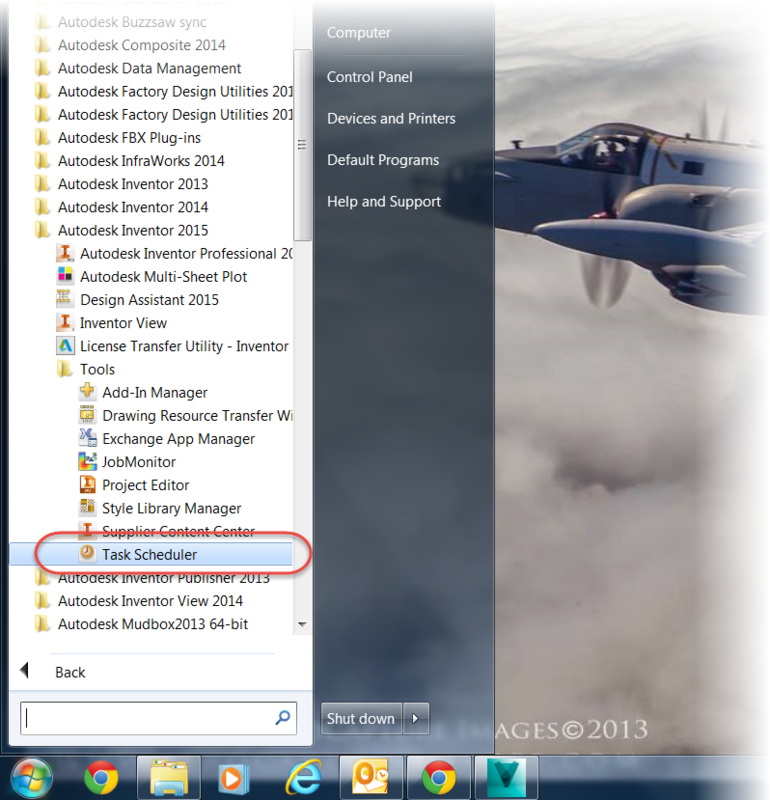 Having said all that, what will Task Scheduler do for me? 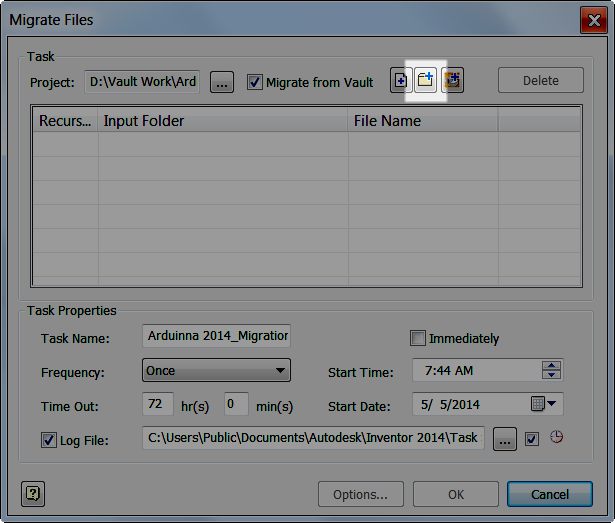 It's going to check the files out of Vault, migrate them, and check them back in again. Making sure they're all ready to use in 2015. First, what are my preparation steps? Really, there's only one. But it's a big one! Make sure everything is configured the way you want it. 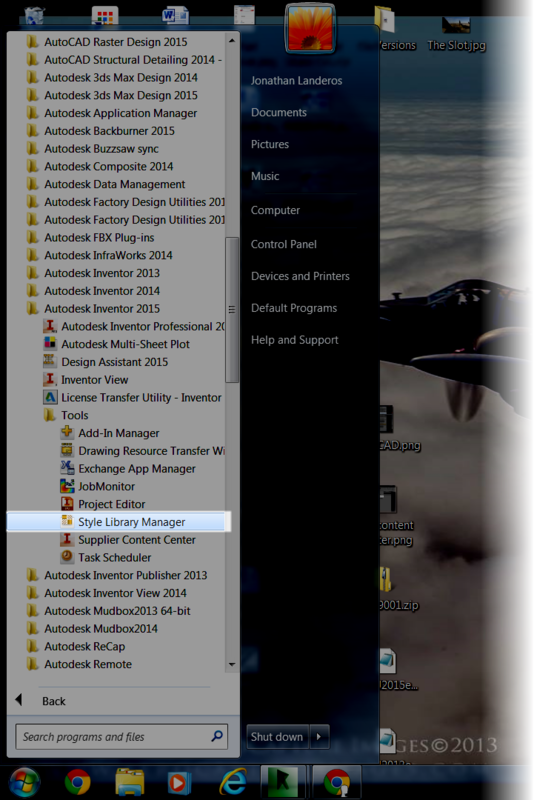 For example, I'm still using 2014, so I've kept my 2014 templates safe and sound in a separate directory, so I can still use Inventor 2014. Remember, once migrated, there's no going back! So plan accordingly! Now, I add the files from Vault. The icons allow me to add Files, Folders, and an entire project. I can even create combinations of these if it suits me! But in my case, I'm just going to choose a single folder in Vault. This is the one with my custom templates. After choosing the folder, I'm going to choose my options icon, where I can change settings on what functions to use when checking in. 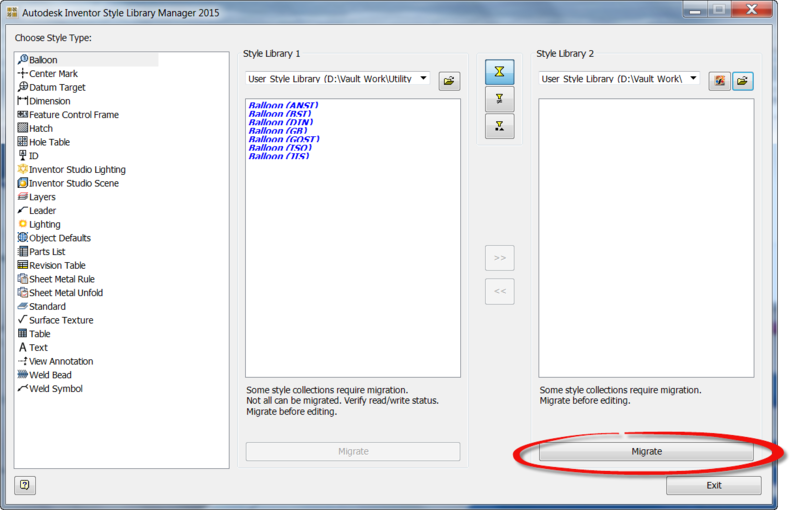 The first tab, the Local Options, such as rebuilding files, deferring updates, and so on. The help system describes the steps well. In my case, I'm just going with the default settings. 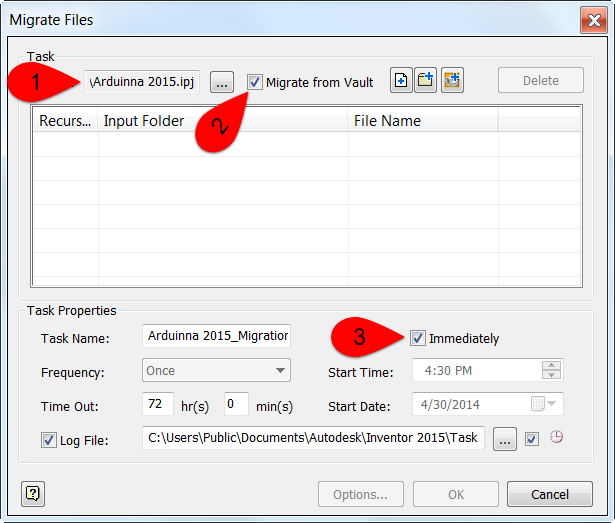 On the Vault tab, I can add a Vizualization file, and delete the local copy from my workspace. 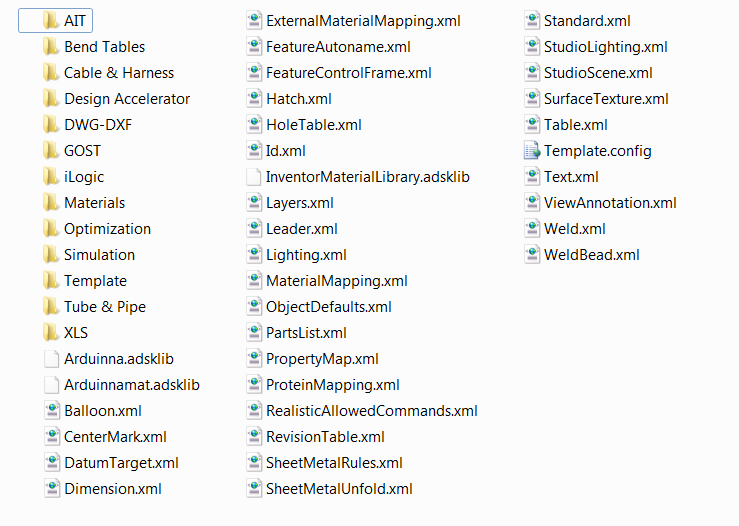 In my case, I'm not creating a visualization file, only because this is a template, and it's just a blank file. I'm also not going to delete the local copy. I need them locally to use them, so they have to stay! 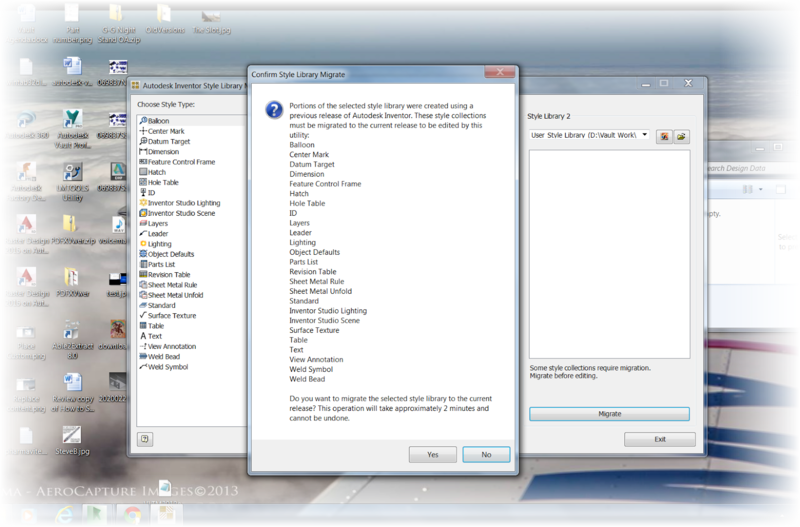 Finally, I'm all ready to go, and I can hit the "OK" button, once to close the options, and once to "pull the trigger". The migration begins, and all I have to do is give it a little time. After a short time, it's done! I have my new templates. 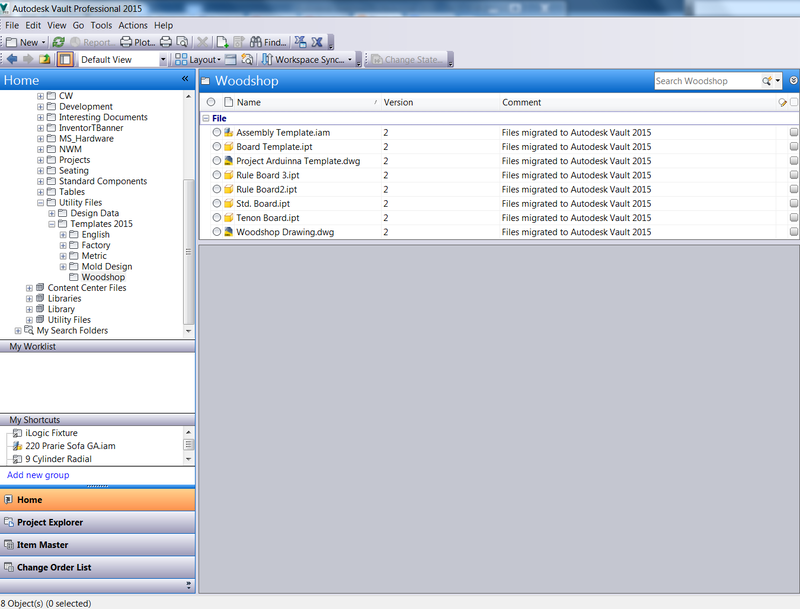 I can even double check by looking at the new versions created in Vault. Now, my templates are all ready to use! And for the video of the steps, take a look below!